Want a Multifunction Unit at an Affordable Price? Add the imageCLASS MF7280 to your workspace. 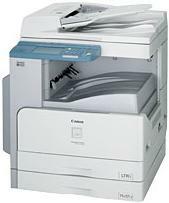 This compact unit occupies the same area as a stand-alone printer, but is actually a laser printer, duplex copier, color network scanner and fax all-in-one. The imageCLASS MF7280 generates fast, high-quality laser documents at a fast 20 pages-per-minute. The Dual 250-sheet paper cassettes and Single Cartridge System create effortless replenishing for continuous output. The imageCLASS MF7280 can quickly send and receive faxes using the built-in 33.6 Kbps Super G3 fax modem and incorporates a strong list of fax features, including 200 one-touch speed dial numbers, 300 coded speed dial numbers, 1,000-page fax reception memory capacity, sequential broadcasting and activity reports. Optimized for speed, your projects will be accelerated with a USB 2.0 Hi-Speed interface and ease-of-use is achieved with the 1/4 VGA touch screen panel. For added productivity the imageCLASS MF7280 is equipped with color universal sending enabling the user to send color documents over their network.Accepting originals up to 11" x 17" on the platen glass. Your scans will be achieved with optical resolution of up to 600 color dpi. Color depth of up to 24-bit internal/24- bit output to help ensure scans are faithful to original documents. The imageCLASS MF7280 not only produces outstanding output, it also has a stylish appearance that complements any small or home office.